Daisy Ridley, Johnny Depp, Kenneth Branagh, Dame Judi Dench, Willem Dafoe, Josh Gad... the stars go on. Seeing any of these names popping up in cinema would catch your eye, let alone all together. Sadly though, star-studded films have a reputation of under performing at the box office. Big, big hopes come crashing down when the film gets released. But does Murder on the Orient Express follow this seemingly doomed genre? No. Absolutely not. I went into this film not knowing what to expect. I'm a big fan of Daisy Ridley and Judi Dench but I also know not to rely on a film being exceptional by judging purely on it's cast. I'll be honest, when the film first began my first thoughts were not good. I thought director and star, Kenneth Branagh, over-acted in his role at first. His monologue 5-10 minutes into the film seemed out-of-place and unnecessary, especially for a character many viewers would have only just been introduced to. My initial quarrels were quickly scattered though through Kenneth Branagh's later performance as Hercule Poirot. His well timed quips along with a beautiful accent made for a likeable and intriguing character. I had no prior knowledge to the story before seeing this film. Never read the book, never watched a series or film. This was all brand new. Johnny Depp's performance disappointed. I'm not a fan of Depp as a person but I do know he is a phenomenal actor. I loved him in Edward Scissor Hands and Pirates of the Caribbean. However, he was not right for the part in this film. His acting seemed as though any old, amateur actor could have done the job. Despite this though - the film was saved by the amazing performances by the rest of the cast. As is expected with a murder-mystery film I spent the majority of the time trying to figure out some logical explanation for 1 of the passengers being the culprit. But did I ever guess it? Not even close. The final revelation of who committed the murder took me by surprise, and it will do the same to you. My one piece of advice before going to see this film? Because you should go and see it. 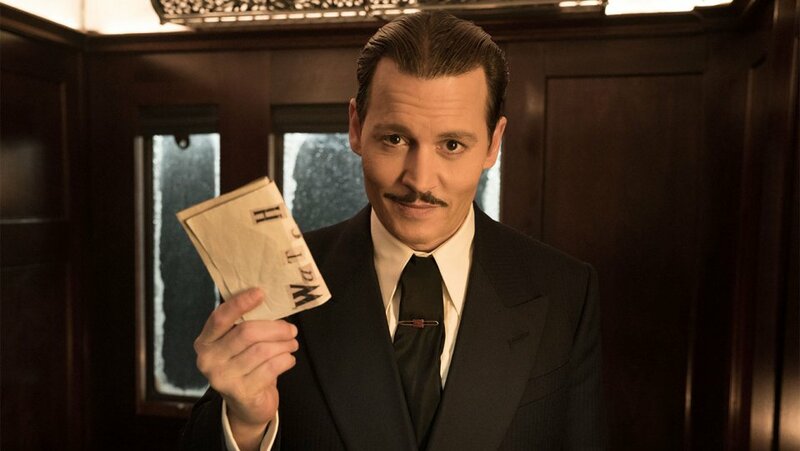 Forget everything you know about Murder on the Orient Express and Murder Mystery films in general. What did you think of the film? Give me a rating out of 10 below!